Startupalooza in the News: So this is what we do....prepare you for the Sharks! Alan Brody's first question Tuesday was innocent enough: Describe your startup to an “angel” investor you are meeting for the first time. It was successive variations of his next question — hammered home again and again to individuals attending Stamford “Startupalooza” — that knocked most off their pedestal: “Do you remember what they do?” In most cases, participants admitted they had only a hazy recollection of the business summaries they had heard less than 15 minutes before. 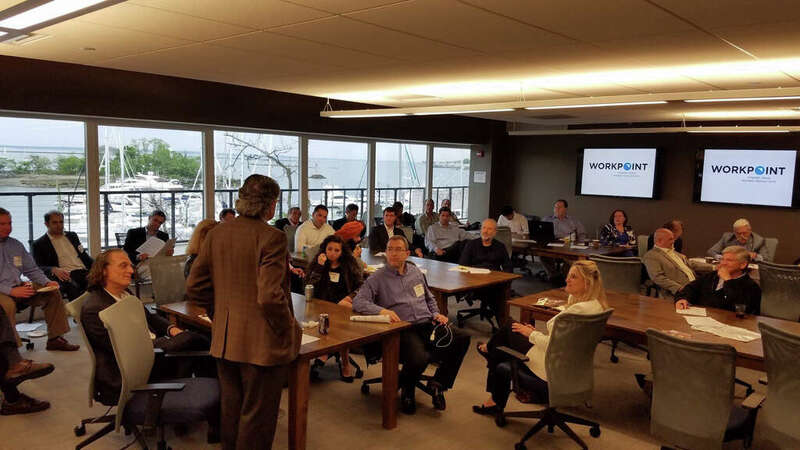 Billed as a chance for entrepreneurs to get coached up on how to get the attention of angel investors — then get the chance to do just that — Stamford Startupalooza was held May 24 at the Workpoint co-working facility at Shippan Landing on Stamford’s waterfront. Unlike Startup Stamford Weekend held annually at the Stamford Innovation Center to convene teams to develop business plans, Stamford Startupalooza included several companies already well down the road of bringing a prototype product to market. 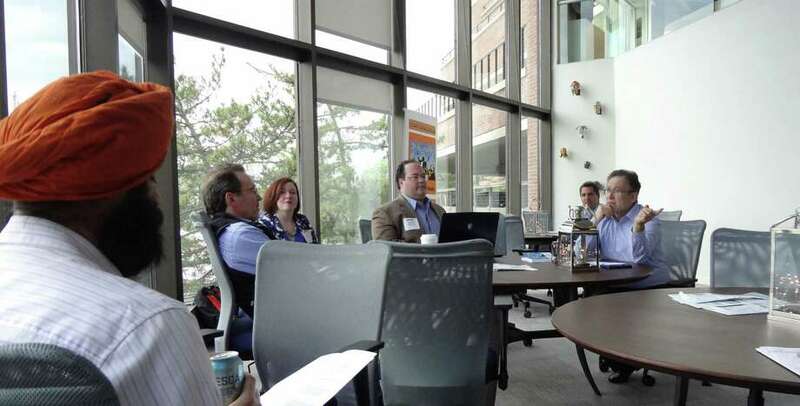 Workpoint hopes to host Stamford Startupalooza three times a year, according to Sheelah Quinn, the facility’s general manager and head of sales, with the inaugural event Tuesday sponsored by McCarter & English and Fiverr. The forum showcased several intriguing ideas ranging from the Vidpal on-demand video service for broadcaster use — the winning pitch by John Ortega — to a way to help baseball players learn to hit effectively regardless of pitch location. Entrepreneurs struck out time and time again with angel investment experts, however, with their “elevator pitches” eviscerated as woefully forgettable. 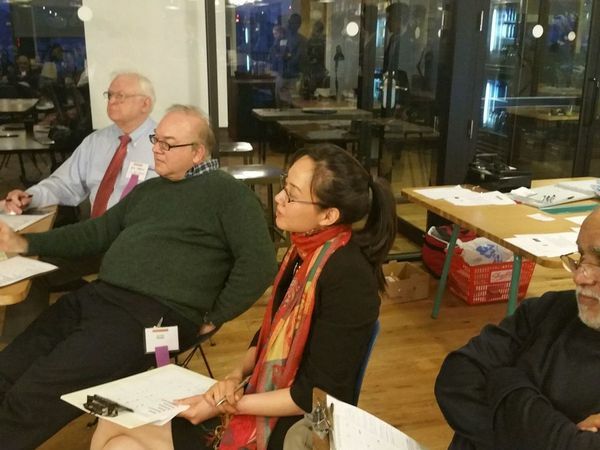 In advance of a “Shark Tank” style pitch competition, Brody was joined by Sandy Wollman, an organizer of Westchester Angels in New York, who likewise spared no quarter as participants gave their best efforts at how they would go about chasing down his investment dollars. 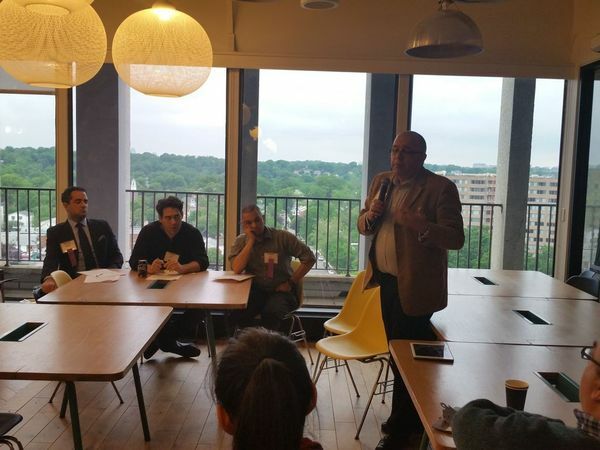 The first Startupalooza in DC was exhilarating and eye-opening. Beginning with the Fundable: Capital Workshop which grew so big it had to be moved to a larger room, this was a great turn-out. The pitching was enlightening and revealed a broad swath of new ideas. This is a smoke detector that also puts out fires with a sprayed, powdered fire suppressant. Compact, cheap and non-destructive, this has the potential to show up in every home, promoted by stove companies and subsidized by insurance companies. Mark Baldino of SupressionOne, is going to the Private Equity Forum at the Yale Club in NYC. Affinity meeting, advice and referral site for millions of people with gastric issues. Comments: The founder has experience in the health field and the possibility of a Big Pharma buy in would make all the difference. However, there is a proliferation of patient affinity sites over specific medical issues and there could be competition for sponsor dollars. Kitchology is the first integrated platform for special diets, available through the web and mobile app to the 160 million Americans dealing with special diets. This automodifies recipes for their dietary needs and prepopulates shopping lists and make product recommendations. Extensive use of machine learning, filed six patents, developed a proprietary database, federated 250 food allergy bloggers. Brands pay Kitchology for promotion, referrals and license to analytics. 200,000 monthly users, in discussions with major brands. Comments: Strong idea and presentation but business model relies on food company buy-in. ErgonometriX prevents Lower Back Injuries through the use of technology: a wearable device with the motion of the employee is captured and analyzed in the cloud and medically supervised. Comments: Intriguing but some considerations of competitive products and then large scale customer acquisition. Mechanodontics is making a new type of braces which will reduce treatment time significantly, be behind the teeth for aesthetic purposes, and be fully customized through a computer automated process. Comments: This is a great idea by two young practitioners. However, they lack a good industry adoption plan since they are likely to meet resistance by orthodontists. Duck Cancer - helping make the lives of cancer patients better is a great idea and a large market. Although the idea was not fully formed, the judges liked the passion and commitment of the engineer presenting it. As advertised, Startupalooza is truly a pitching network of Angel networks. Accordingly, the winner was Pinch, a startup that travelled down from Boston and won with their idea for a marketplace of services based on peoples’ unique passions and avocations. This taskrabbit-type service allows people seeking unique experiences to find and hire the providers of these unusual, hard-to-find skills. This is a new idea with a profit model and followers. It has some questions about its viability but the presentation was filled with enthusiasm and a sense of discovering a new marketplace. Congratulations to Aakash Goklani of Pinch, who will be going to the Private Equity Forum at the Yale Club in NYC. The Runner up was Habitat, a food delivery service for campus’ by Andrew Nakkashe. While this business is mildly profitable and seems to be well executed, the startup founded by students is still shadowed but the student-startup syndrome: ideas common in colleges do not necessarily travel to the real world where there is no shortage of competitors. Nevertheless, the founder impressed the judges with his crisp presentation and determined composure. In the past year, Startupalooza has helped several companies (HigherMe, Nomi, SeedCX, EventCombo etc.) collectively raise well over $1 Million. How? One is that we give more Entrepreneurs more access to more investors than any other event - for arguably the lowest possible fee. Another, even more important reason - is that we monitor the feedback from Investors. We can tell you what they really think and more importantly, what to fix so that you can become Fundable. A great example is Nomi Beauty (formerly Gloss & Glam) which offered a virtual hairdresser service that spared hotels the expense of setting up and maintaining an in-house hair salon. What we quickly found was that Investors weren't that interested in helping out hotels. What excited them was that women execs would be highly interested in hair services in the convenience of their rooms which they could also put on their hotel bill making it easy to expense. That brings up the 3rd reason: the Investor was from out of town. The beauty of the multi-city Startupalooza model is that we have networks of Investors throughout the northeast corridor. The Investor in Nomi was not from New York but in our network from the MidAtlantic region. So we not only work locally, but we circulate deals throughout the Boston-NewYork-Philadelphia-DC corridor, where everyone dramatically increases their chances of finding the right Investor - and Investors, the right deal. Just when you despair of America's technology prowess, you find out what the next generation of youth are capable of inventing. Just as exciting is the fact that this award program was supported by our lead sponsor, Fiverr. The Dream it. Code it. Win it. program in May, introduced student's ideas that could have an impact on the marketplace today. Aside from a 3D printed prosthetic hand, visual programming solutions and so on, we loved the stick-on circuit board product. Instead of a "bread board", you can actually build circuits with sensors and so on just by sticking them on a sheet of paper and then illustrating the system flow. This is an amazing bridge between DIY programming, hardware building, prototyping, hobbyist projects and education. Just as illuminating are the young multicultural teams creating these ideas. It is not hard to see that tech creativity is alive and well. More than that is the realization that motivated kids with an idea are a fantastic educational paradigm that will fundamentally change how kids are taught: why bore them with the rules of calculus when you can set them a challenge that makes them want to learn and use it? Hats off to Fiverr, MIT Enterprise Forum, The Internet Society and Cooper Union.